The Hometrends Giraffe Decorative Pillow with its jungle design stands out amidst other designs. With its black colored geometric shapes set over a coffee brown background, this giraffe print pillow appears very modern and eye-catching. With its face and back both made from pure polyester, this decorative rectangular pillow is soft and silky for maximum comfort. Maintenance is easy as it just needs an occasional spot clean. 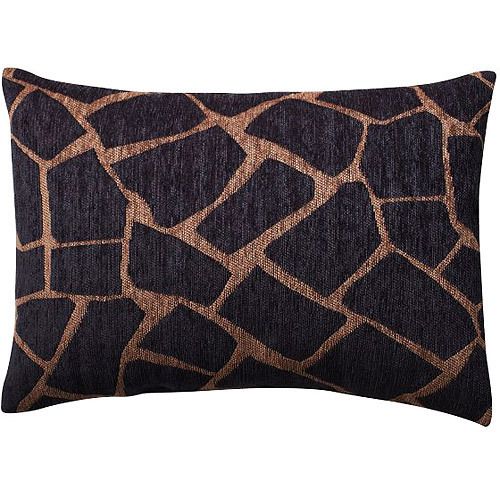 On the whole, this Hometrends Giraffe Decorative Pillow is a delightful addition to any home.